Further to our baby distractions, I thought I should add a second entry of brief reviews, acknowledging the books over the past two years-plus that I started to review, but, for whatever child-related reason, I wasn’t able to complete as a longer, full-sized review. Here are some notes, if not even regrets (I’m surprised at how many scraps there are, and how long they’ve been sitting, unfinished, upon my computer), on a couple more books that I wish I’d more time and attention to properly discuss (as they each, obviously, deserve). 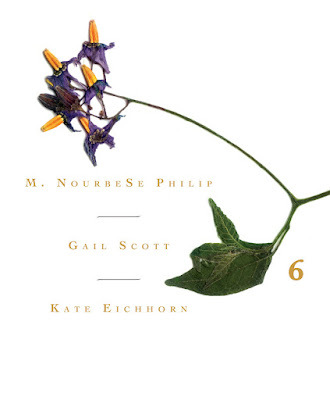 The Belladonna* Elders Series 6: M. NourbeSe Philip, Gail Scott, Kate Eichhorn (2009): In many ways, the most interesting element of this all-Canadian volume of The Belladonna Elders Series is Kate Eichhorn herself, composing works that build upon what her two chosen elders, M. NourbeSe Philip and Gail Scott, have been working on for years. 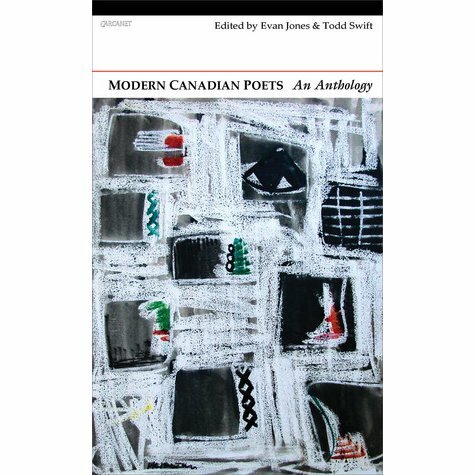 In two interviews, later included in longer versions in the anthology Prismatic Publics: Innovative Canadian Women's Poetry and Poetics (Toronto ON: Coach House Books, 2009) [see my review of such here]. NB: Because for me when I work in English, I always feel as if I am working in a foreign language. KE: Even with your mastery? NP: I never ever take it for granted. The course of the foreignness is the awareness that this is not my tongue. Mind you, I think that all writers and poets have this sense. As you write your poem, you have this idea of perfection, but of course, what I am talking about is slightly different from that. I'm talking about this sense of utter foreignness in what is supposed to be my mother tongue. When I was working on the poem, I remember sitting in this room on St. Clair Avenue in Toronto that I rented from a doctor, my doctor in fact. I had a room at the back of his office, and there were some days when I felt that I could actually taste the foreignness of these words. I can't apply profound theoretical language to it. I can only go to the body and tell you what it felt like. There was this awareness of that and all I could do was weep and weep. Maybe it was some sort of collective memory. I came to appreciate the complexity of the elder function during one of my first interviews with a writer in the early 1990s. Maria Campbell, a Métis writer and storyteller, had been invited to speak at a Native elders conference hosted by my university. She graciously offered to spare a few minutes of her time but explained that this was an elder's conference, so I would have to conduct the interview in the presence of her elders, and because they would potentially be better positioned to respond, she might not speak at all. In the end, this was not an interview with an author but rather an encounter with a writer/storyteller speaking amongst others. I had arrived well prepared, or so I thought, to navigate the complexities of power and appropriation this encounter was bound to raise. I left perplexed, wondering whether I had carried out an interview at all (I don't recall asking any questions). This, of course, is precisely the kind of productive trouble wrought by elders, and for this reason, adopting the category for an avant-garde reading and book series may be surprising, but it is by no means antithetical to the work of a project such as Belladonna*. Despite an awareness of British poetry favouring formal models over experimentation, my original question was this: is this an anthology for those interested in contemporary poetry titles by Carcanet, Bloodaxe Books and Faber over, say, titles by Stride, Shearsman, Salt or Reality Street Editions? Instead, I’m realizing this an anthology directed to the classroom, given its historical swath across a century and a half of Canadian writing, working to produce an anthology that exactly pushes the mandate of the “modern” period. But then, how do McGimpsey, Robertson and Carson fit in? above/ground press: some backlist (and rarities!